Mr. Wiboon Perm-Aryawong, the President of Small Business Credit Guarantee Corporation (SBCG), received the honorable trophy in category of ?? ?the Best Supporter of FPO? 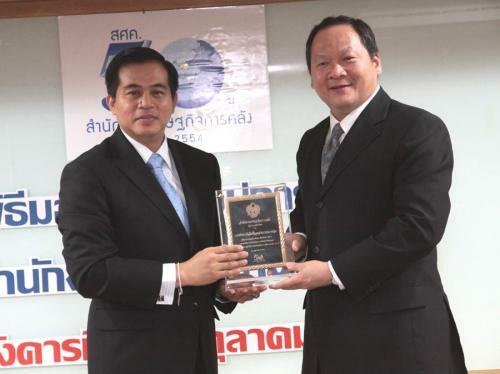 ?� from Mr. Somchai Sujjapongse, the director general of the Fiscal Policy Office (FPO), on occasion of the 50th anniversary of the founding of the Fiscal Policy Office, at Poey Ungpakorn Auditorium, the Fiscal Policy Office, October 18 2011.